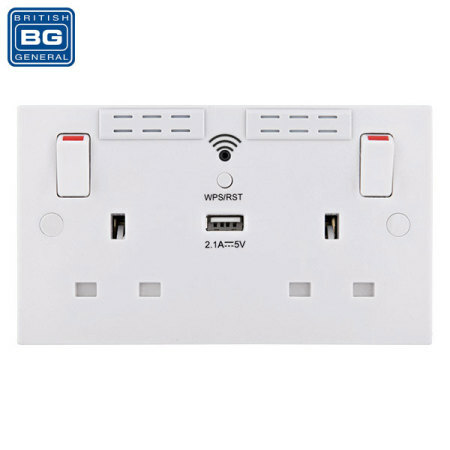 This ingenious BG wall socket boasts 2 AC mains sockets for laptops, hairdryers and other electronics, as well as a single 2.1A output USB port for charging mobile devices like tablets and phones. Also comes complete with built-in WiFi range extender. This is a great way to extend wifi however setting it to link to your router can be a challenge. Very easy to replace an existing double socket with this unit, if you are competent to complete the task.